A member of the DigiScript team scans a church from outside. Photo courtesy of Ponzi Alampay. The 7.2-magnitude earthquake that struck Bohol in October 2013 left centuries-old churches in rubble, with only postcards and photographs left to remember them by. 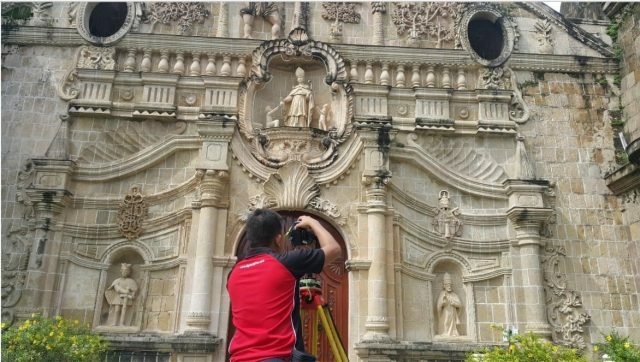 To keep the same from happening to other structures in the Philippines, 3D technology specialists DigiScript Philippines is using 3D laser scanning to document UNESCO World Heritage Sites so they can be restored faithfully once disaster strikes. The firm’s project with the National Commission for Culture and the Arts (NCCA) and the Tourism Infrastructure and Enterprise Zone Authority (TIEZA) covers the four Baroque churches constructed during the Spanish colonial period: Paoay Church in Ilocos Norte, Sta. Maria Church in Ilocos Sur, San Agustin Church in Intramuros, and Miagao Church in Iloilo. 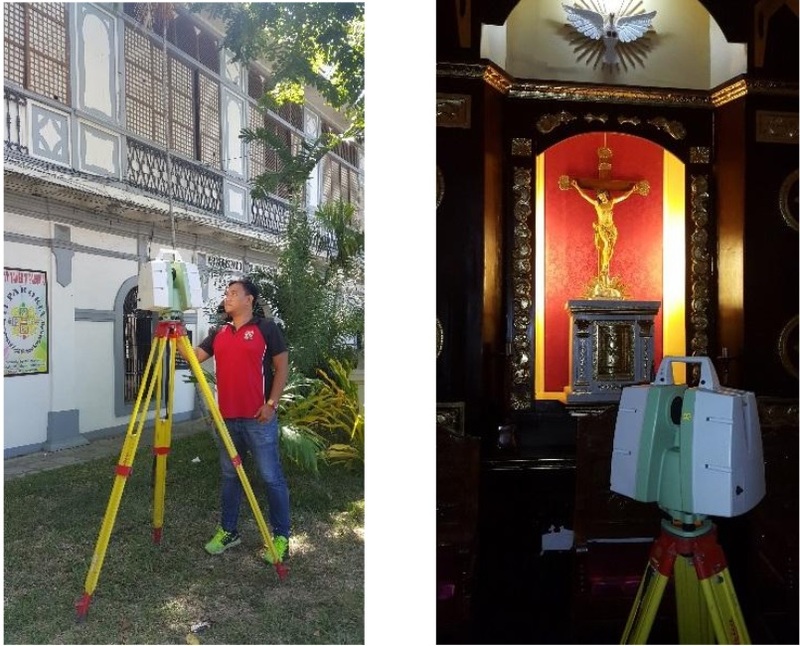 The Spanish colonial town of Vigan, particularly the Vigan Cathedal, Simbaan a Basit, and the Archbishop’s Palace, is also being scanned. 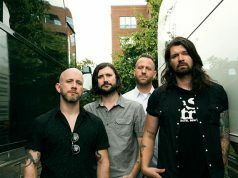 The project began in May last year and is set to wrap up in March this year. The key to their success is a 3D laser scanner by Leica Geosystems—the same Swiss brand behind the cameras, which also makes precision instruments for survey work. Portable like a suitcase, the 3D laser scanner is moved from place to place around the structure being scanned. Traditionally, one would have to put up scaffolding, use a tape measure, and take pictures of the site, which can take years. “But with the advancement of technology such as 3D laser scanning…we can rapidly capture sites and accurate data. (It’s) comprehensive, reliable. There’s so many benefits to the technology. It’s also safer because you don’t have to have people putting themselves in harmful or places of risk,” Alampay explained. It’s not like an X-ray which can see through walls, however. It will only be able to capture what is in the line of sight, anything on the surface level. As it scans, it captures millions and millions of data. Its output is a “pointcloud” made up of measureable coordinates, which can then be processed and turned into detailed plans. A pointcloud laser scan of a church, which will then be turned into detailed plan. 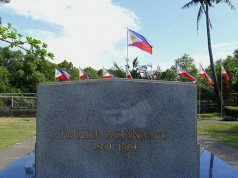 Image courtesy of Ponzi Alampay. 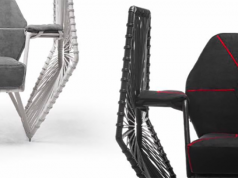 “It’s almost giving our architects and engineers another view of things. Because we capture so much data, they see things more clearly, they are able to derive where problems are coming from. With the naked eye they can’t see a crack or something, but with the laser scanner you can zoom in to places that it has captured,” Alampay said. 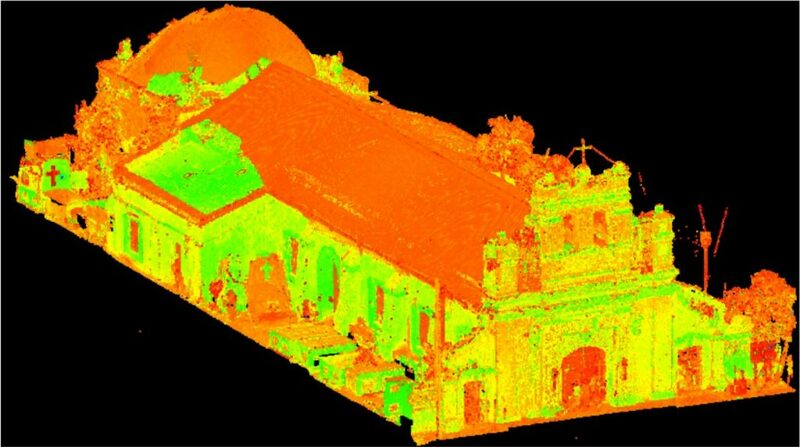 Before Manila Cathedral was renovated in 2012, for example, DigiScript scanned the entire church 80 times over five days. They also scanned the Manila Metropolitan Theater, which is under renovation. “To date, that’s probably been one of our biggest sites with over 600-plus scans, meaning we moved the scanner from place to place. That took us two months all in all to scan and to produce all of the drawings, all the as-built drawings, the plans. But previously a contractor – they’ve been trying to get those plans, the manual method, and that took them, and it’s not even complete, two years,” Alampay recalled. “The way they told me that they did it was they would get scaffolding, take a picture, take a picture at different levels, and then the details, they would get tracing paper and draw the detail, and that’s how you translate it into a computerized… And imagine the cost, the time that you put there, as compared to now,” he added. South Korea is just one of the nations that has benefitted from this technology. 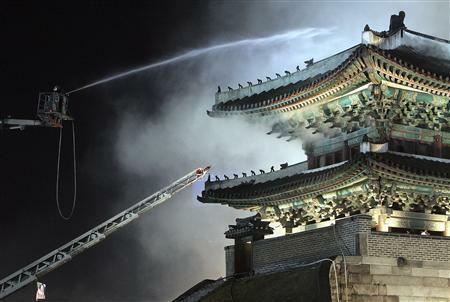 In 2008, 600-year-old Sungnyemun Gate (also known as Namdaemun Gate), which was declared by the government as the country’s “National Treasure No. 1”, was burnt down by an arsonist. The fire was so large, it took 300 firefighters to put it out. “Luckily, they were able to scan this. They scanned every part of this site…. Because of that laser-scanned data, they are now able to faithfully reconstruct,” Alampay pointed out. The reconstructed Sungnyemun Gate was opened and restored to its former glory in 2013, CNN reported. “It’s such a powerful tool,” Alampay mused. The DigiScript team is also involved in the National Museum of the Philippines’ restoration of the churches in Bohol, specifically in documenting and assessing the damage sustained. “The rapid and detailed information from 3D laser scanning was able to document areas of collapse and show the extent of cracks, fissures, deterioration, and plumbness of walls to show degree of tilt,” DigiScript’s website reads. 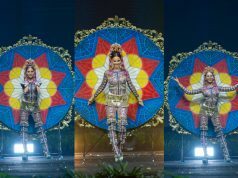 In 2021, the Philippines will be commemorating the 500th year since Christianity arrived on its shores. Alampay said his father was planning to create a program for the Catholic Church in this regard, to preserve its structures for the next centuries to come. Asked about his dream project, Alampay said he looked forward to doing more work on Philippine heritage. “There’s so much to tell. Scanning can tell a lot of stories, especially scanning these old buildings. 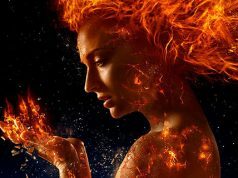 You really can learn a lot about the culture that you live in,” he said. Such initiatives, he admitted, can make one feel small. A church is scanned from outside and inside. Photos courtesy of Ponzi Alampay.